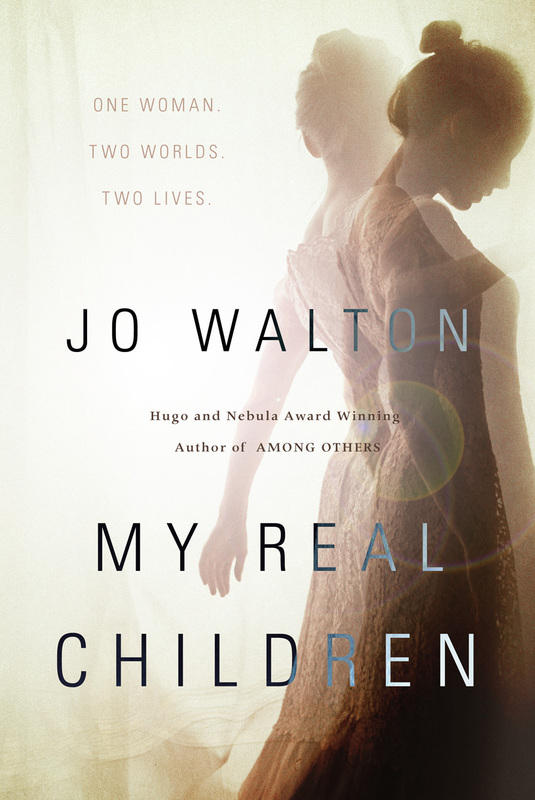 We had a small group but a lovely discussion of Jo Walton's "My Real Children" (2014) at City Lit's Weird & Wonderful Book Club last week. 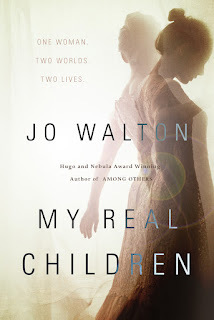 Walton's novel is a kind of double-alternate history with deep reflections on family and ageing: Patricia, our protagonist, lived two very different lives, and is remembering both of them as she falls into dementia in a nursing facility. The strongly science-fictional elements are mostly off screen (alternate history of space travel, medicine & technology, world politics), and since they're not very central to Patricia's life we don't get too much about them--but finding those little clues about the different worlds is one of the treats of reading this. The fantastic here lies in the dissonance/resonance between Patricia's two lives, not in any science fictional or fantastic elements within them. Each timeline kind of overlays the other, so even as you're getting wrapped up in Tricia's life, you remember that things are different in Pat's. It's a very strange and interesting effect. We really liked the interlinked investigation of sexuality, family, and agency here, and how they relate to Patricia's happiness. The question at the end--that she might have to choose which life will be "real", kind of like collapsing a waveform--highlights the ways that the worlds have contrasted, but given how real both feel the idea of sacrificing either seems terrible. I would like to note that this book is very quietly good at presenting and addressing alternate sexualities (particular with regards to how they play out in day-to-day, familial, and legal ways), disability, and particular ageing and dementia. Teresa compared this to Kate Atkinson's "Life After Life" (2013), which sounds to me also a bit like "The First Fifteen Lives of Harry August" (2014) by Claire North, recently discussed by the Chicago Nerds. One could probably put together a pretty good list of "alternate and/or repeated versions of the same character" fiction if one wanted. I was also reminded of Tim Pratt's poem "The God of the Crossroads" (2001). We talked for a bit about some of Walton's other work, and, in talking about "Among Others" (2011) and how it draws heavily on Le Guin's "The Lathe of Heaven" (1971), I realized that "Lathe" is also very interesting to think about in connection to "My Real Children", with the theme of a dreamer dreaming real worlds, and not wanting to change the world, trying to avoid wiping out/changing the previous one and everyone in it. Next month's discussion for Weird & Wonderful is Josh Malerman's "Bird Box" (2014); Teresa recommends looking up some videos of his reading/performances of the work if you weren't lucky enough to catch him at City Lit.